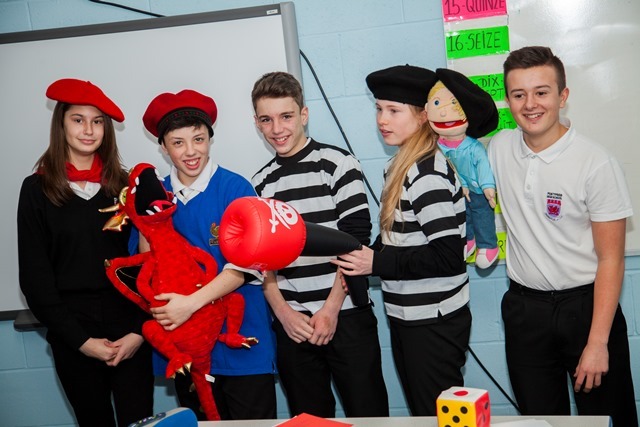 French and Spanish are taught on an alternate basis from Year 7 to Year 9. 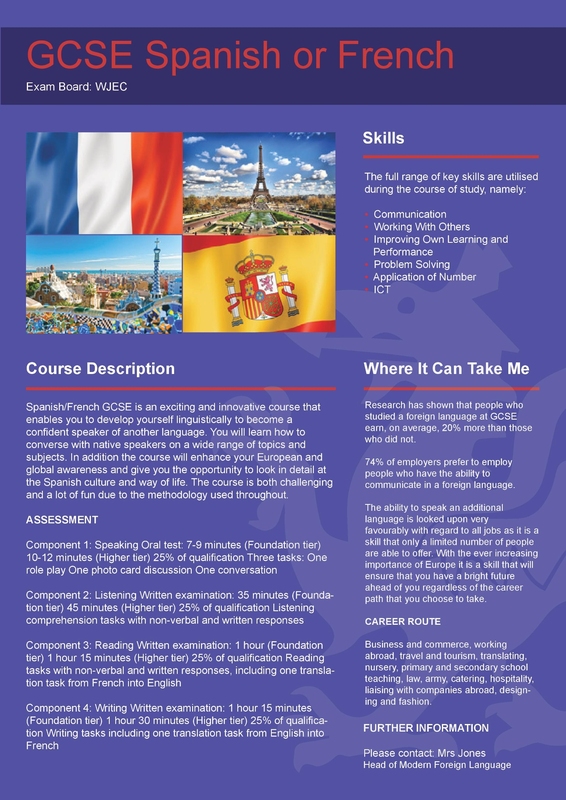 One cohort will study French for three years and the following year the cohort will study Spanish for three years. Pupils are then able to opt for the language that they have studied at Key Stage 3 for GCSE. Languages are taught in banded sets in all years up to the end of year 9. Groups are then taught in a mixed ability class at GCSE. Languages are popular with students at all levels of ability and the department has produced some very impressive results in recent public examinations. Students have the opportunity to travel to France for a cultural tour of Paris as well as staying in Disneyland Paris. There are also opportunities to sample taster Moderl Foreign Language days in local Universities. Pupils cover the topics of personal introductions, home life, school life, free time activities, food and shopping. A variety of texts and ICT equipment are used and lessons include a mixture of whole class teaching, group work and independent learning. We build on all four language skills; listening, speaking, reading and writing. There is always a busy working atmosphere with a range of activities, supporting the learning requirements of each pupil. Pupils are encouraged to participate actively in lessons by responding using verbal and non-verbal methods, explaining and justifying their answers.